There it is our another blog which is about a frost Jotun Odd. Odd is the Frost Jotun ruler of the Lost Lands during the Lost Age. He ruled all those regions with an iron fist for years and slaughtered thousands of innocent souls. During his long reign, no one, including himself, could find any peace for he lived in hatred and died in hatred. Even today, Odd’s traces still haunt Svilland. Though there are many rumours about his death, it is widely accepted that Odd’s Half-Frost Jotun brother killed Odd with the help of god Balder. In response, Loki, the god who betrayed and was betrayed, murdered Balder, causing him to fall to Helheim. 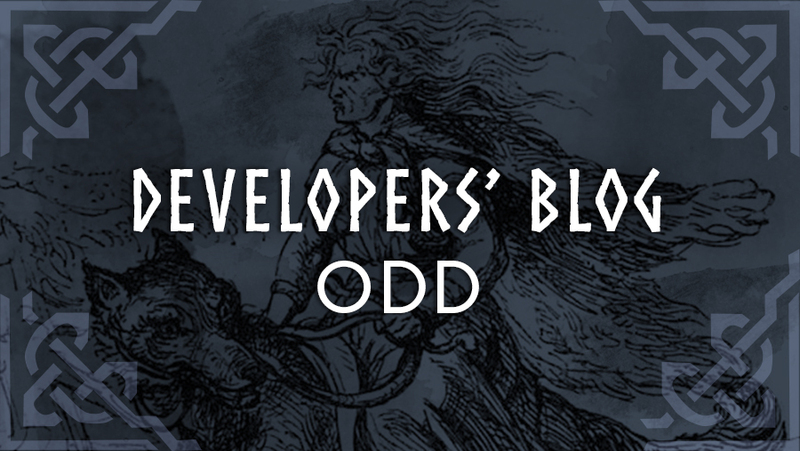 While giving his last breath, Odd released a great disaster which he used to keep in himself -and maybe even prevented to occur- to the realms: The Black Winter. When it finally arose, it seized all the lands within it’s reach, slowly destroying all life. All the creatures that lived there had to migrate to the lands today known as Svilland, in order to survive. And thus, our adventure begins out there!